70s Summer, Retro Beginners Clothing Patterns - MISSES' JACKET & DRESS , Semi-fitted unlined jacket has cardigan neckline, above-elbow length sleeves with turned back cuffs, patch pockets, and topstitch trim. 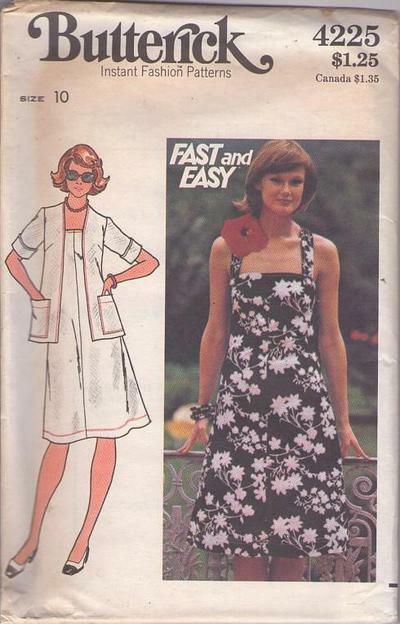 Semi-fitted, slightly flared dress in just below mid-knee length has attached straps with front button closing, pockets in side seams, and topstitch trim. Purchased hat.